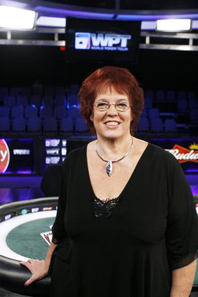 Linda Johnson, nicknamed “the First Lady of Poker”, has been a leading force in the poker world for much of her life. Linda began playing poker in the 1970s after buying some poker books and teaching herself how to play. She was immediately enthralled with poker and had a natural ability for the game. She entered the World Series of Poker Ladies seven-card stud tournament in 1980, deciding in advance that if she performed well, she would quit her job at the Post Office and move to Las Vegas to play professionally. As fate would have it, Linda finished fifth in the tournament and promptly gave her two-week notice. She moved to Las Vegas and played poker full time from 1980-1993, one of just a handful of women who played the game professionally during those years. In 1993, Linda purchased Card Player magazine. Over the next eight years, Card Player grew from a 68-page, black and white newsprint publication into a 132-page, full-color, glossy magazine. As publisher, Linda became a poker ambassador, traveling to more than 200 cardrooms. She has co-written two poker books and was instrumental in helping to establish many influential poker projects including the World Poker Industry Conference, the World Poker Players Conference, and the Poker Tournament Directors Association (TDA). 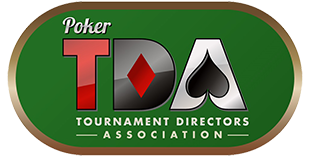 Linda’s involvement in promoting poker led to her appointment to the Board of Directors of the Poker Players Alliance, the Ladies International Poker Series (LIPS), and the Ladies Poker Association (LPA). She is a partner in Card Player Cruises and has hosted more than 80 poker cruises to destinations around the world. Although Linda has won many poker tournaments and has five final-table finishes at the World Series of Poker, her top poker goal was achieved when she won the gold bracelet in the Razz event at the 1997 World Series of Poker. She was the 2005 California State Ladies Poker Champion and the 2006 Orleans Open Woman’s Poker Champion. She was selected as a player on the Professional Poker Tour and as a member of the Queen of Hearts World Series Ladies Team. She was featured on the television show Poker Royale and was the studio announcer for the World Poker Tour in its first six seasons. Linda enjoys teaching WPT Boot Camp and has hosted poker seminars and tournaments at many cardrooms around the country. One of poker’s highest honors was bestowed on Linda recently when she was selected to receive the Brian Saltus Award, an award given for representing class, dignity, and courage at the poker table. She has been featured in USA Today and many national magazines. 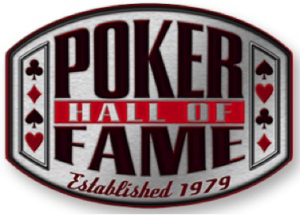 Linda was a charter inductee into the Women in Poker Hall of Fame in 2008. Four years later she became one of only 48 persons in the history of game to be elected to the Poker Hall of Fame. When it comes to experience and the respect of her peers, Linda is at the top of the poker world! Follow Linda on Twitter @FirstLadyPoker and keep up with her global travels at Card Player Cruises. Linda looks forward to your comments and feedback.